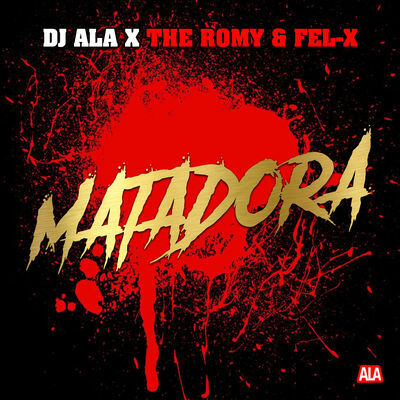 MATADORA is the next single released by DJ Ala from Ticino together with The Romy and Fel-X. The song is about the love for a woman who, despite the pain and exhaustion, you are not able to let go. The Matadora takes the control over the man, leading him to his complete exhaustion. Excellent reggaeton sound from Ticino with voice and rap by the Cuban Fel-X and the Dominican The Romy. Mit MATADORA veröffentlicht der Tessiner DJ Ala zusammen mit The Romy und Fel-X seine nächste Single. Es ist ein Song über die Liebe zu einer Frau, welche trotz allem Schmerz und Anstrengungen, einem nicht mehr loslässt. Die Matadora übernimmt die Kontrolle über den Mann, bis er vollständig erschöpft ist. Toller Reggaetonsound aus dem Tessin mit Gesang und Rap vom Italiener Fel-X und dem Dominikaner The Romy. MATADORA è il prossimo singolo pubblicato dal Ticinese DJ Ala insieme a The Romy e Fel-X. La canzone parla dell’amore per una donna che, nonostante il dolore e la fatica, non si riesce più a lasciare andare. La Matadora prende il controllo sull’uomo, portandolo al suo completo esaurimento. Ottimo sound reggaeton dal Ticino con voce e rap del cubano Fel-X e del dominicano The Romy.